"I'm the Sun Summoner. It gets dark when I say it does." We read Leigh Bardugo's "Ruin & Rising" for our September book club book and the Moderator Angie took it to the next level of awesomeness! Angie decided to embrace the over arching theme of Ruin & Rising which focused on the LIGHT which is the opposite of how we celebrated our Shadow and Bone Book Club. The main character Alina is a Grisha with a special power that allows her to summon and harness the power of the sun. 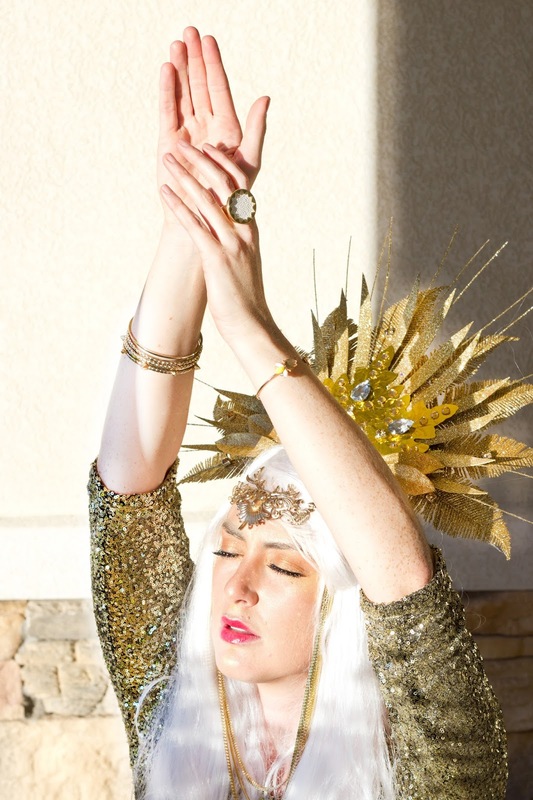 She is called a SUN SUMMONER and that's the theme Angie choose to focus our evening and her outfit on. Angie dressed as the sun summoner. 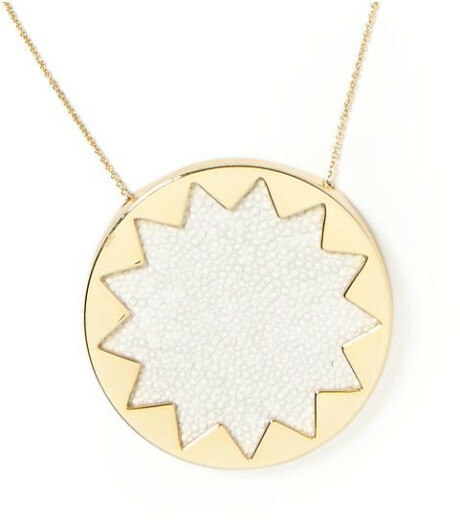 JEWELRY: She found the House of Harlow sunburst necklace, earrings and ring she is wearing at Nordstrom rack on sale BUT you can find it HERE if you are looking for one of these beauties for yourself. 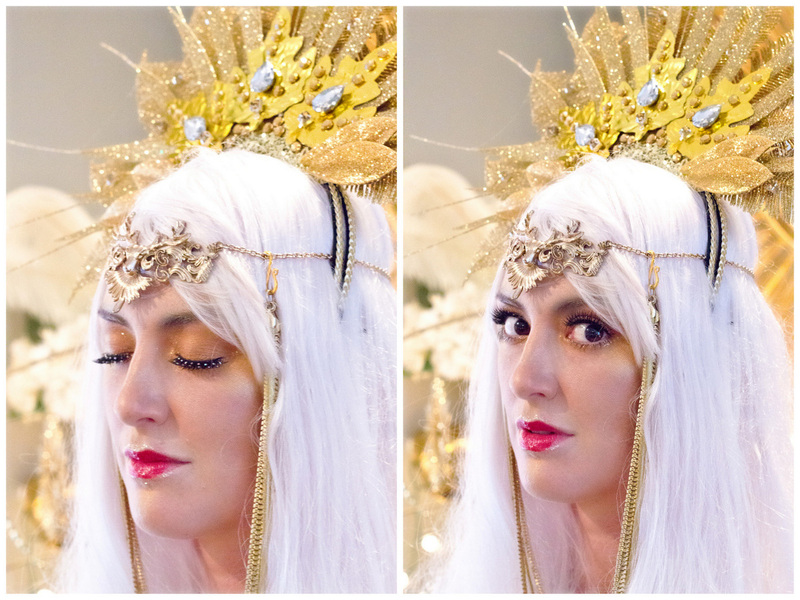 SUNBURST CROWN: Angie created her amazing sunburst crown herself with gold leaves, Christmas decorations and jewels she found at Hobby Lobby. 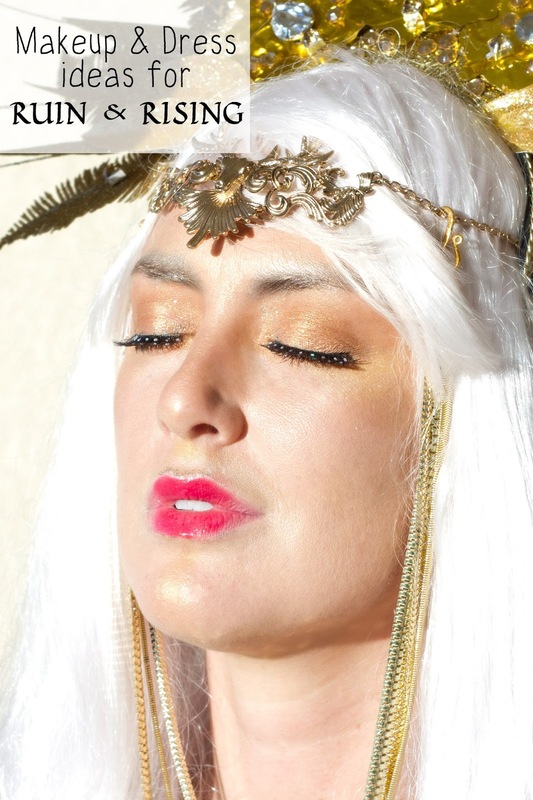 She purchased the braided gold headband separately and began the task of constructing it with some hot glue and creativity. 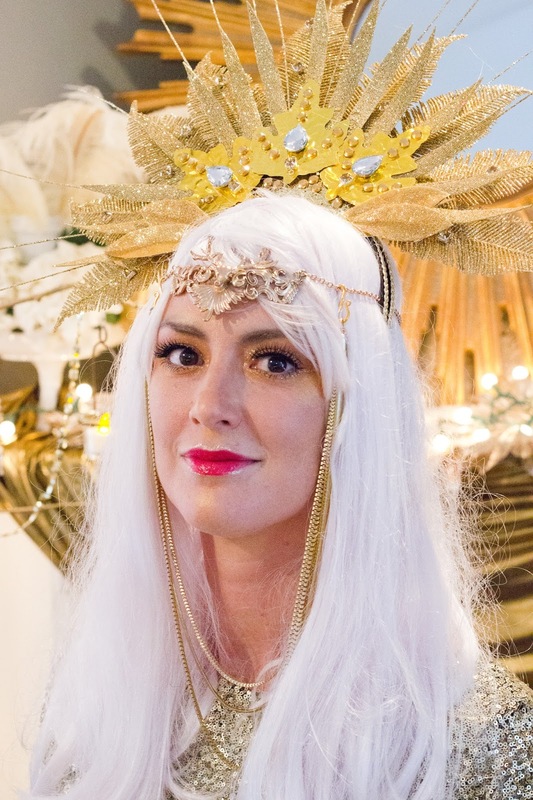 HEADPIECE: She created her stunning stag head dress by combining two necklaces. 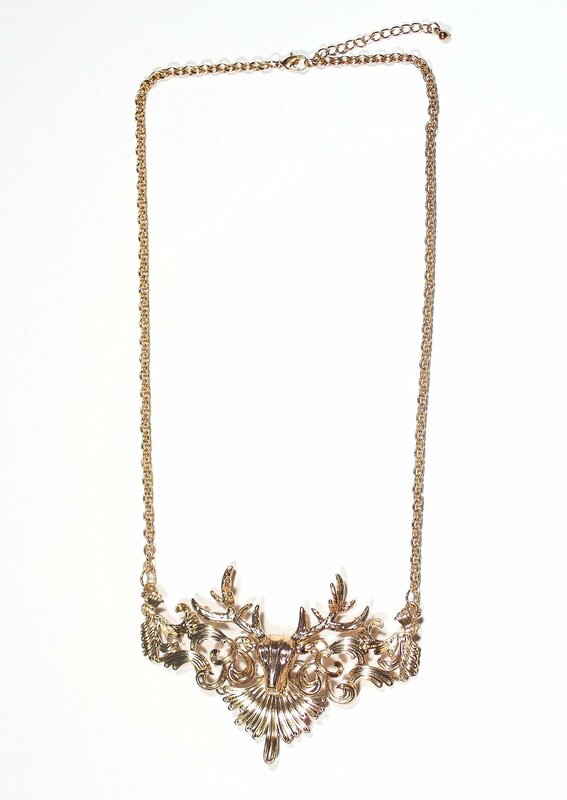 The stag necklace that's been placed on her forehead and the long gold chain necklace that's hanging down around her face. She added a few clasps to combine them together and voila, instant gorgeousness! 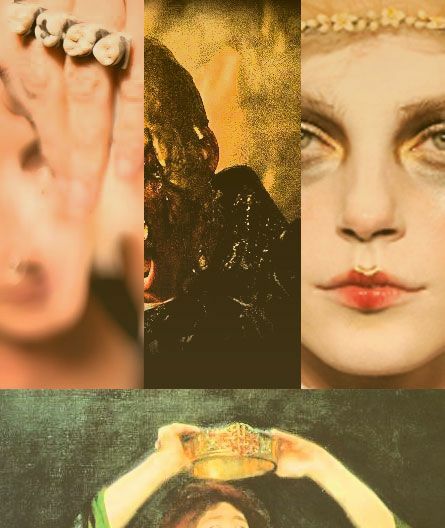 MAKEUP: All of the makeup items Angie used to create her look are listed at the bottom of this post but most of her inspiration came from this photo collage she found on Bardugo's tumbler page. She also pulled ideas for her makeup and outfit from Leigh Bardugo's Ruin and Rising Pinterest board. 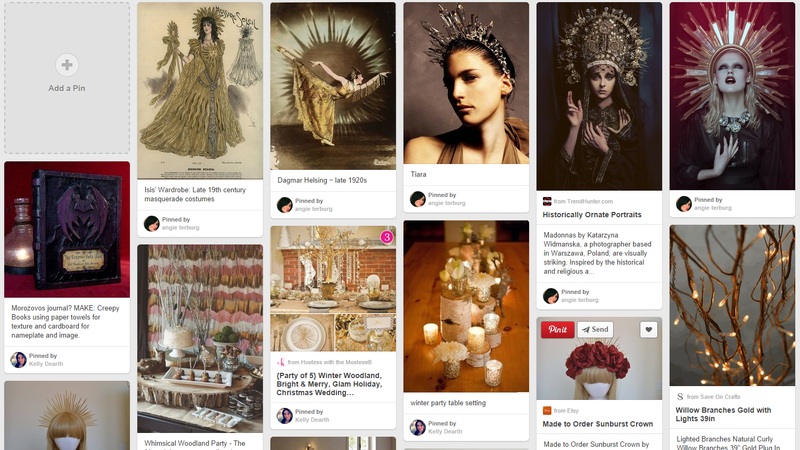 While you pursuing Pinterest, you should also check out Angie's Ruin and Rising board. 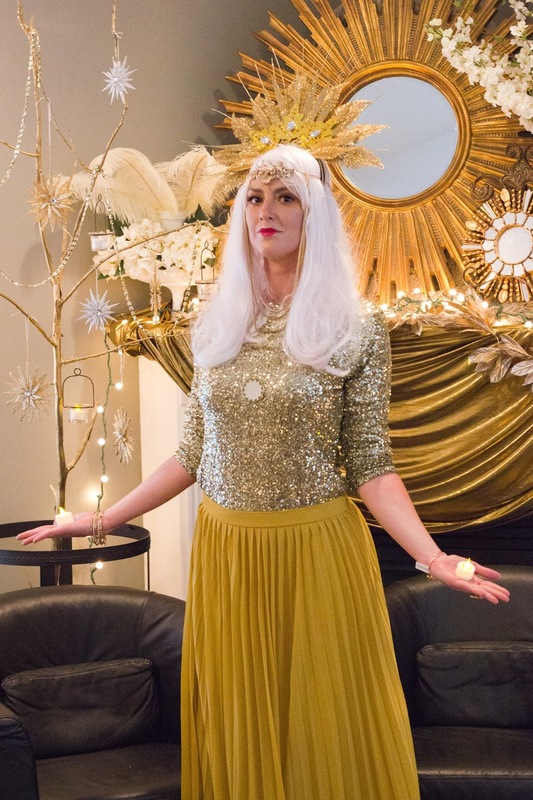 So pull out all of your gold jewelry, sequins dresses and yellow accessories and create this radiant look for yourself! That was perfect. Exactly what I would want to know if I wanted to dress up like Angie. Great job and so fast. There's a chance you are qualified for a complimentary $300 Walmart Gift Card.